Tile-making forms only a small part of my output. However, over the years I have undertaken several projects with schools and pre-school nurseries along with private commissions on small or large scale, and across different firing temperatures and colour ranges. I currently make a limited but unique range of salt-glaze tiles, which can be made to order in different slip and glaze colours. There are usually batches of small 3″ wall tiles in stock, which are perfect for sink surrounds or bathroom borders. 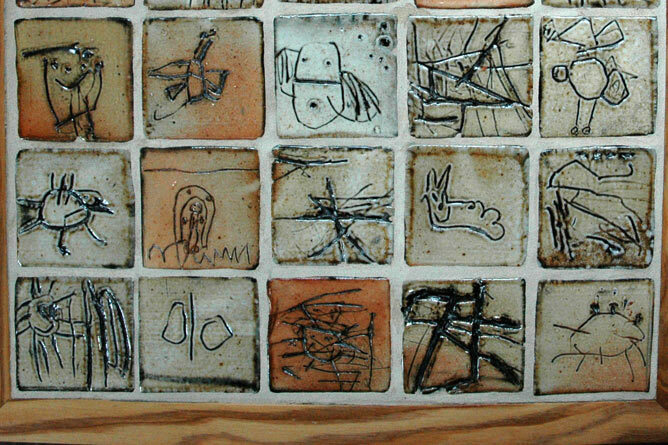 I also welcome commissions from local schools, pre-school nurseries or privately, for wall tiles which are decorated by you! I supply the raw tiles which are pre-slipped and ready to decorate. I provide you with clear written instructions on the decorative method of slip scragfitto, or I am happy to provide your group or family with personal tuition to assist with the successful decoration of your tiles. 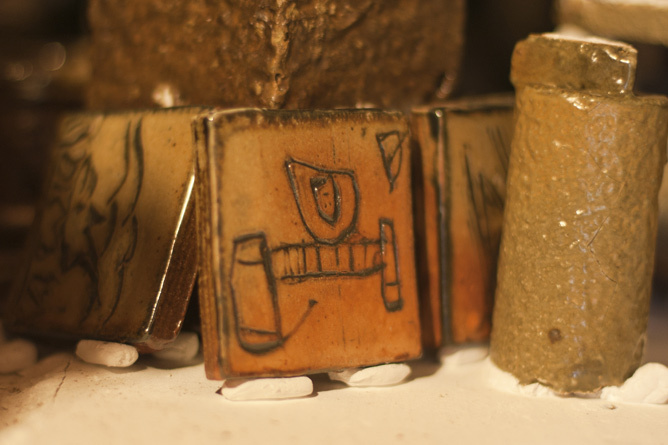 They are then brought back to the studio to be salt-fired. If you’d like to know more detail before commissioning a project, or you wish to place an order for plain tiles, please use the contact form to get in touch. Please note that, like the pots, these tiles are characteristically hand-made. 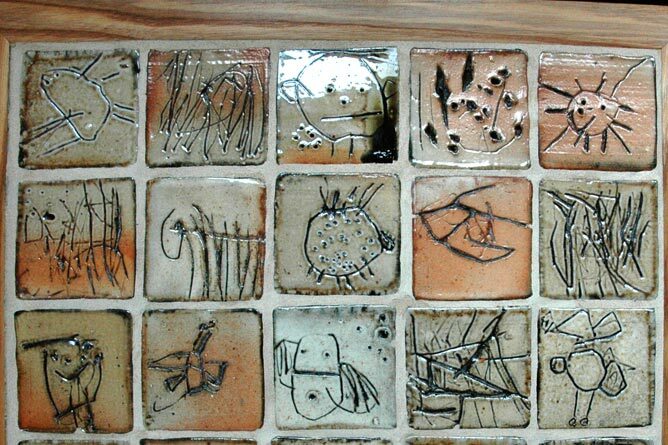 You will find slight variation in fired sizes and significant variations in slip and glaze colours. 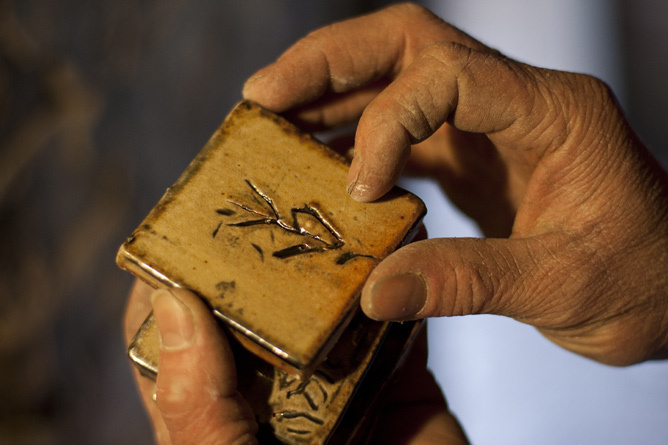 The process of high fired salt-glaze is what makes any group of these tiles unique.